Filzmoos ski resort is located in the Salzburger Sportwelt (Austria, Salzburg). The resort contains 8 lifts and 13km of piste perfect for skiers and snowboarders alike. The resort is suitable for a variety of difficulty levels and there is plenty of room for children and beginners to practice. The more advanced skier can show off their skills on the fantastic Michaela Kirchgasser FIS race course. This resort would be perfect for a group of family or friends who have a range of skiing experience as there is something for everyone. The abundance of charming mountain huts, excellent snow record, unique mountain panoramic views and extensive slopes leading all the way down to the quaint village make the resort a popular choice. 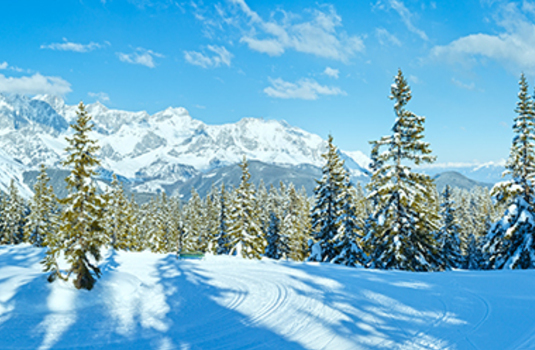 The winter sports area is situated between the altitudes of 1,057 and 1,645m and the Rossbrand high elevation cross-country trail at 1,600 m is a hidden gem for daring cross-country fans.